This is a hard book to read. Not in the lots-of-SAT-words kind of way. In the some-things-you-can't-unsee way. Ruby spent a childhood full of pain and abuse in Liberty, Texas. She escaped to New York City, but found no salvation there, just echoes of the same nightmares. Now she is back in the town that first broke her, for the funeral of her onetime best friend Maggie. Without Maggie's strength to support her, Ruby's psyche slowly gives way to the demons born of her past. Her sanity crumbles and mingles with the dust as she lies in the road, raving. Ephram has loved Ruby since they were children, but only from afar. Now a middle-aged man, his father lynched and his mother committed to a mental hospital, he lives with his sister Celia and tries not to make waves. That is, until finally Ruby's pull is stronger than anything else, including the stinging judgment of his pious sister and hypocritical friends. Ephram wants to show Ruby what it means to be loved. Bond reveals Ruby's experiences in pieces, moving from past to present and back again, until the whole tragic, unthinkable story is before us. The magnitude of Ruby's suffering made me feel hollow. It made me want to rend my garments. It is shocking. Brutal. Wrenching. But never gratuitous. Bond's prose is fluid, lush, tinged with magical realism. 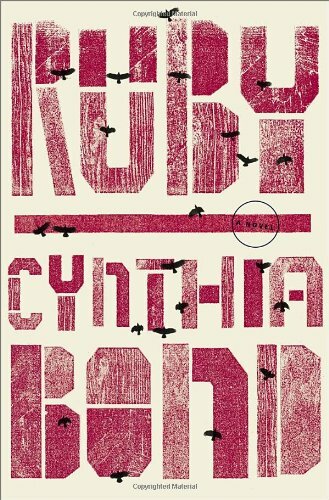 She lays Ruby's story bare, but then layers over it again with artistry and nuance. The book is rich with symbolism and deeply evocative of the South. I've seen the novel compared to Toni Morrison's work, and that comparison is both apt and well-earned. The writing is superb.